The Darwin traditional close coupled toilet, evoking the classical style of a bygone era, yet manufactured to today's high exacting standards, this stylish toilet is perfect for providing a period look in any home. 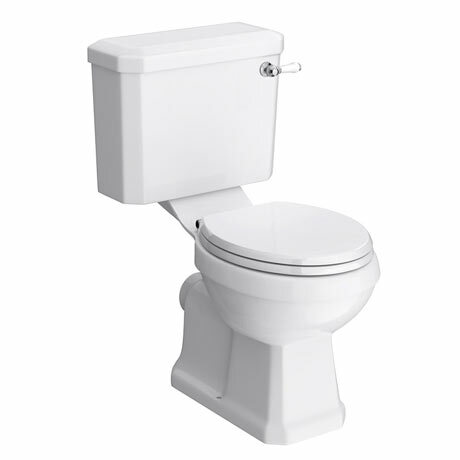 Supplied with a quality soft close heavyweight MDF seat and luxury ceramic cistern lever handle. Arrived on time excellent service and product. Great quality and value and arrived quickly. Haven't fitted toilet yet but looks smart and good quality.